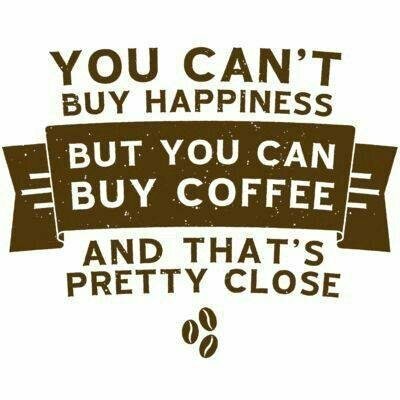 You Can’t Buy Happiness But You Can Buy COFFEE And That’s Pretty Close. Yes… Yes it is. 🙂 Have a great Sunday. Enjoy your coffee.